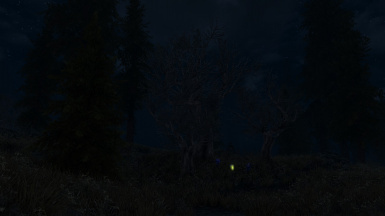 Where is the Darker Nights Patch? I'm sure there was one when I used the mod on Xbox one. Creator of Lightning during storms renamed the esp in new update. So could you please change the patches dependancy to mintylightningmod.esp ? 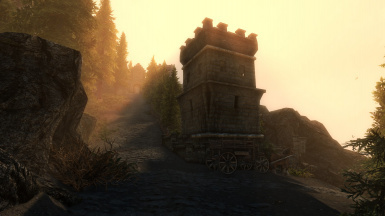 I can easily do it in Tes5edit, but for other people who want your mod it would be nice. Thank you for your craft and the effort you put into it. It is truly appreciated. Happy Mod Author Appreciation Day. 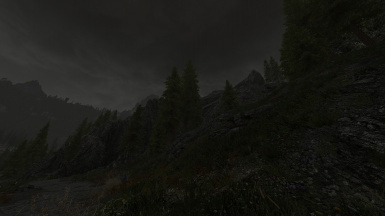 Nvm..it was actually the Mythical Ages weather and lighting mod. 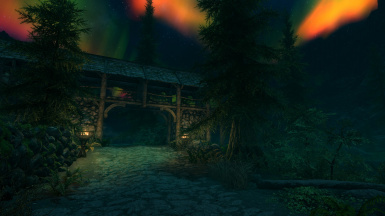 Beautiful mod but tries to do too much especially with Auroras green mist into towns, and it's complete but kind of overdone lighting overhaul. 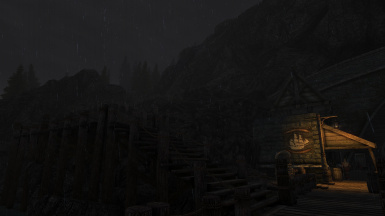 Replaced it with the same author's Surreal Lightning mod and it works perfectly. Re added RLO and wow, back in business. If i don't get a crash by lvl 10 I won't restart. I just want to play geeze lol. Hey Omegae2008, sorry i hadn't seen your responses, thanks man! Are you the creator of Mythical Ages, it's friggin awesome. Add UV Tweaks to it and it became even more awesome. Ok, I will do as you suggested and go see my settings with the scroll. Thanks again. Last thing, think it's a disaster if I uninstall RLO and reinstall it with interiors only, or should I pick Interiors and Effects also. Or just leave it as is already. I should uninstall Minty's lightning better you think? I agree with Toolarg's post below. Hope i can give Arindel some constructive input with this, point out some problems. I'm a sucker for good light, and i work with light in my professional life, so i'm not talking out of my behind. LOL. 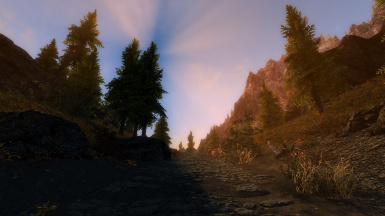 I used Vivid Weathers all the time, but grew weary of it (and it has it's own problems). 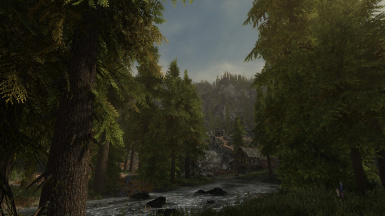 3 days ago installed Mythical Ages and though it's not often realistic, it looks so much more interesting. 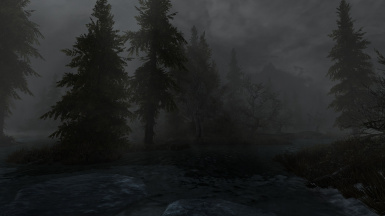 In my eyes it's the *best weather mod for SSE* ATM. 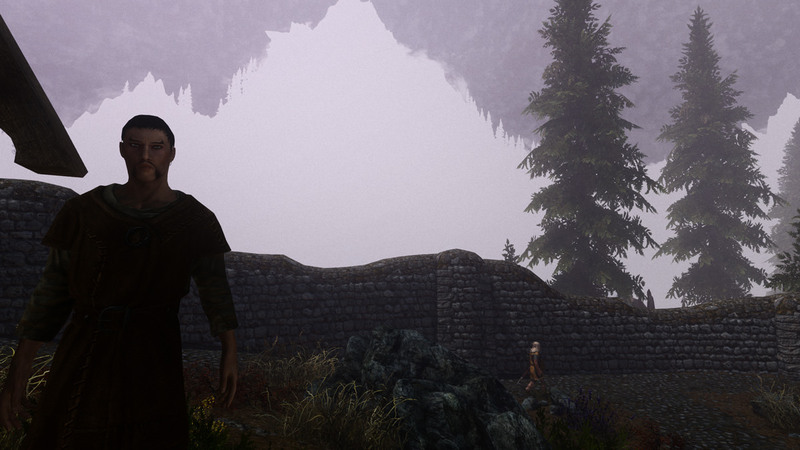 Otherwise i'm very very happy with this mod - kudos and keep the good work going, Arindel. 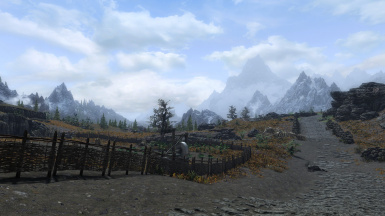 [EDIT:] Such a great weather mod! The more i play with it, the more i like it, after discovering more lighting situations. I'll see if i can post some screens. I reduced the rain occurence as well as other similar weathers with the today's update since many people keeps talking about how often it rains. I'm not sure what are you refering to on the first bulletpoint, about foggy and brighter. Can you show me a screenshot on this? The orange sun flare is by design. I wanted to have two-tone styles depending on where you look. Warmer in sun's direction, colder in the opposite. 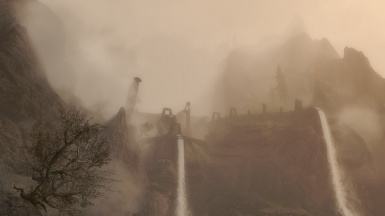 The green fog during aurora looks nice IMO, most likely a matter of tastes here. What I can't fix is that green creeping out during sunset because it's during transition. Arindel, NP, it's your creative decision and i respect that. For OCD types like me there are options, or we can still edit the ESP ourselves. Reg. 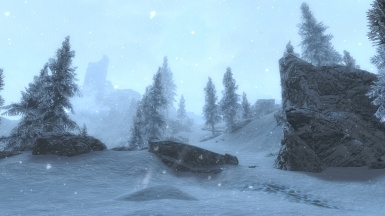 the z-index issue: After 10min weather hunting i have a suspicion that it could be the new PhoenixVivid ENB (v0.320 binary). But see for yourself. 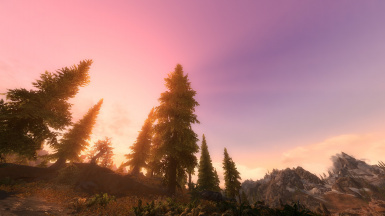 [EDIT:] I confirmed that it's the new sky gradient settings in v0.320. I'll forward this to Phoenix. 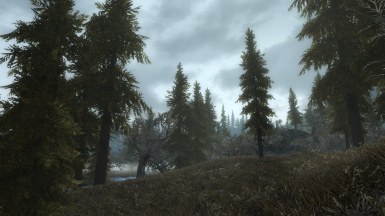 For now i just set default values for the sky gradients. Whoaaah...what the... I never encountered this. 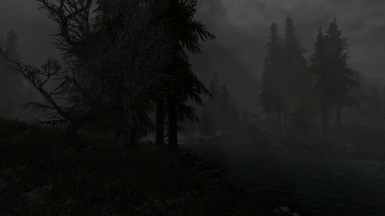 I have to bet this one on the ENB preset since it recently got the ability to darken the skies and trigger this effect. I would never release something like this to this level of weirdness. Yeah, i suspected. 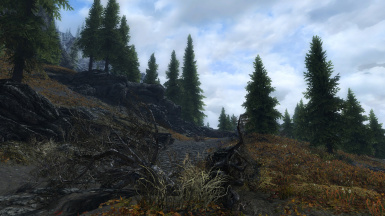 But i've encountered this effect very often with different mods, so there are modders who don't see it. Oh and thanks for the update! Yesterday, I saw the worst green aurora effect ever, not sure it was because of UV Tweaks mod or RLO mod, but damn that was ugly, it spread all over the place. 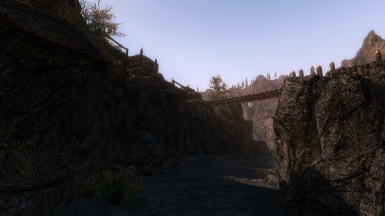 Besides that, I'd still keep this mod, it's perfect for fantasy skyrim. Thanks for making it! If possible please remove any Aurora stuff! Is there anything I can do about it? 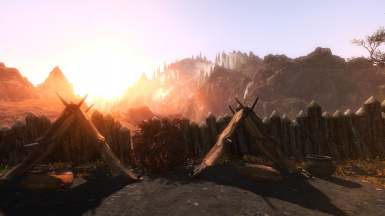 What if I reinstall RLO with just the interior setting on? and maybe effects just in case. So confused..
To clean save you need to uninstall RLO v4 while away from interiors, cities, and towns. 1) Go to the woods far away from civilization. 2) Exit game and uninstall RLO v4. 3) Open the previous save, and save again but now with RLO v4 uninstalled. 4) Finally install v5, and save the game again. In the Powers you have a spell called Options: Mythical Ages Presets, that allows you tweak the visuals a bit, try using Sharp preset. I can't do anything about lights on streets and such, they're not part of weathers. 1) I don't see why not, they don't have conflicts so it should be fine. 2) Minty's Lightning got a more recent update that broke the patch. I haven't been able to update it yet. Without the patch it probably wouldn't work at all. Haven't tested the new version to be sure. 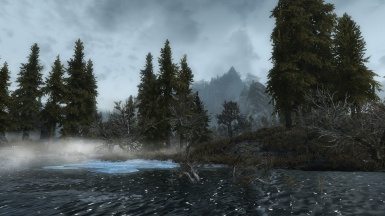 3) Try Mythical ENB, maybe it works out for you, but well... you know, tastes. Hi there, just restarted another character yesterday to start fresh, add Mythical Ages and it's great! 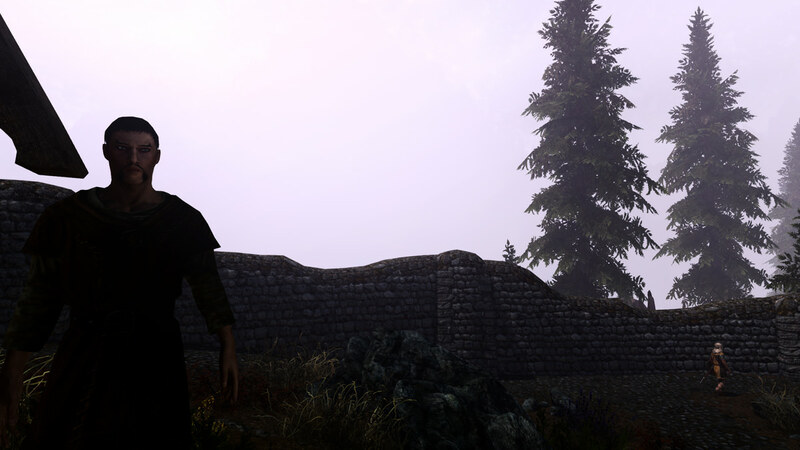 I also added Realistic Lightning Overhaul but will remove the exteriors because it doesn't blend well. Will leave the interior lighting on though. I wanted to ask you 3 things, if you have some time give me an answer, thanks. 2) Can I add Minty's Lightning? 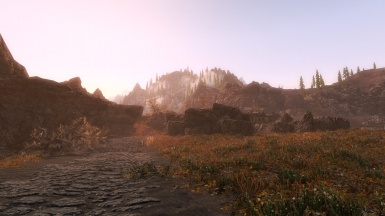 3) Is there any ENB type or similar that you would advise me adding without using Dyndload etc because I can't learn that lol? 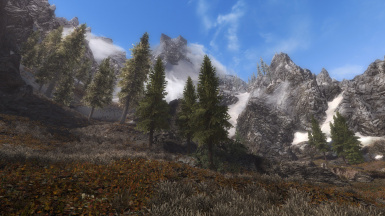 I added Skyland Landscape textures which looks great, was just wondering if it's too late to try something else? Thanks again for these mods, had Surreal Lighting previously, both are fantastic!